Martel is a beautiful town situated near the river Dordogne, about 40 kilometres from Brive-La-Gaillarde in the Lot Department. It has a distinctive skyline as this small town contains seven large medieval towers. 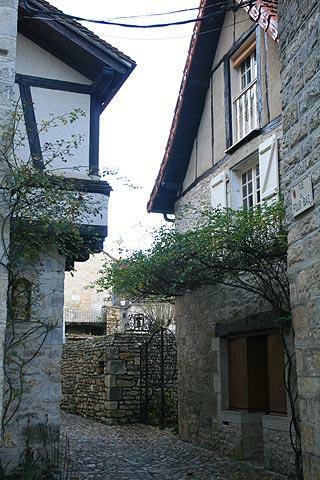 Amble around Martel and there are beautiful houses and interesting architectural details around every corner. From the 15th century onwards the Government officers, lawyers and other professional classes built expensive houses and the ornate doorways, mullioned windows and stone staircases can still be seen. 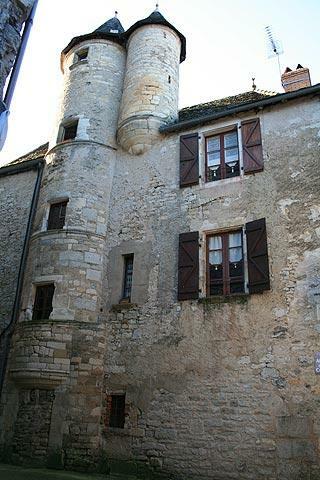 - The Palais de la Raymondi, built between 1280 and 1330 for Bernard Raimondi, the town’s tax collector. It now houses Martel tourist office (the tourist offices always seem to be in the most beautiful buildings in towns in France). The tower of the palace, one of the seven in the town centre, was originally built simply as a status symbol but later became a belfry. - have a look at the woodwork of the roof of the halle, it is a particularly beautiful example although it was actually built in the 18th century so is much more recent than most of the buildings here. The Palais de la Raymondi is on one edge of the square, the Penitents tower (another of the seven towers) is also on the square along with other very attractive houses. 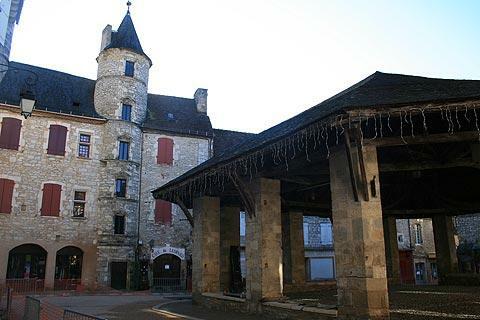 - La Tour Tournemire, a square tower which once served as a prison. 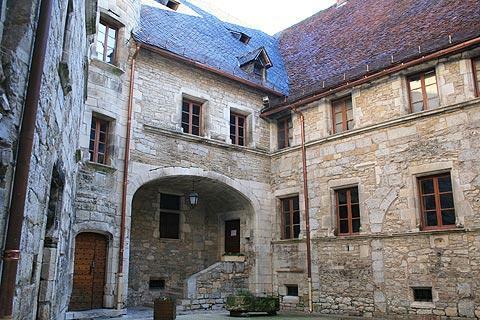 - The Maison Fabri, a beautiful house where Henri « Shortcoat », eldest son of Henri II died after pillaging Rocamadour. 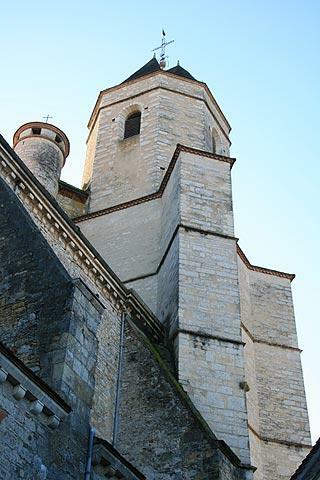 - The Cordeliers Tower - the only remains of a 13th century Franciscan Monastery. France This Way comment: despite its many charms, whenever we have visited Martel it has been reasonably quiet compared with the very popular towns and villages of the Dordogne to the west, so I assume it is still something of an undiscovered treat! 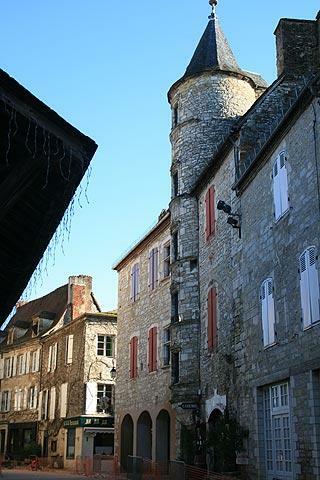 Once the capital of the Viscount of Turenne, the town and its buildings are steeped in history. The town developed because of its prime location on the intersection of trading routes between Paris and Toulouse in one direction as well as a key route from east to west for the trade in salt and wine. 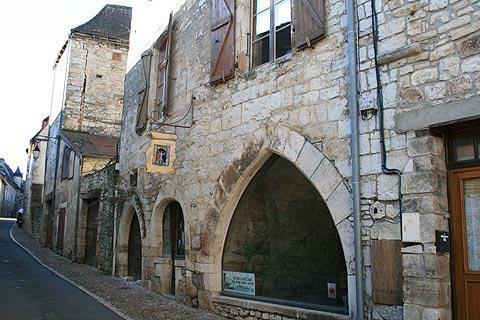 It is also close to Rocamadour and was an important resting place for pilgrims. 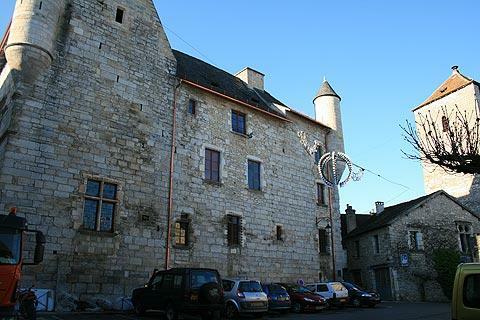 The 13th century brought wealth to the town and many merchants houses were built within the defensive walls of the town, which was also the centre of an important local court. 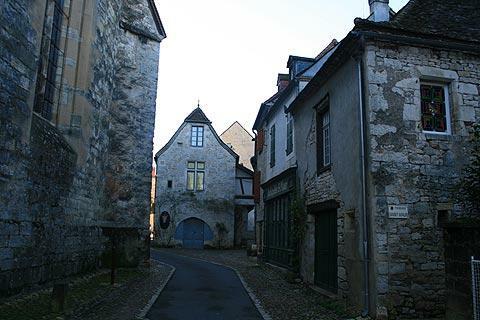 The town grew and spread into ‘barris’ or suburbs outside the town.The Hundred Years War threatened the town and led to the building of a second defensive wall, but Martel recovered quickly from the war and the 15th century saw another period of affluence. The Chemin de Fer Touristique du Haut Quercy is a 1 hour journey on a steam train taking a tour of the beautiful countryside in the hills and cliffs between Martel and Saint-Denis. Nearby you can also visit Reptiland which is home to the biggest collection of reptiles in France. 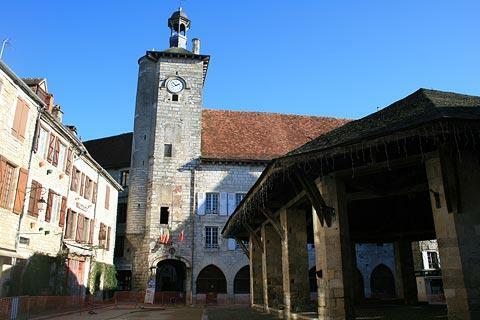 As well as the very popular village of Rocamadour, Martel is well placed to explore many of the other beautiful villages of the region such as Collonges-la-Rouge, Loubressac, Autoire and Curemonte.